The past three weeks have been rather crazy here. 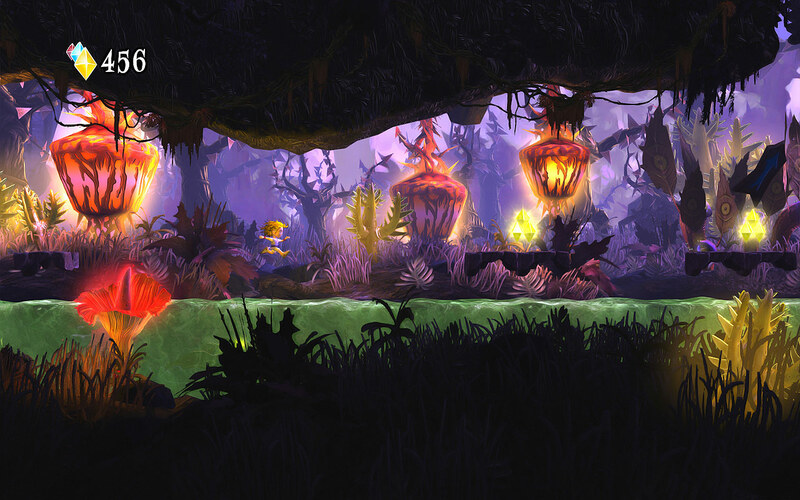 We’ve been compiling updates, rounding up video footage, creating artwork all the while working on the game. It’s just as crazy as last time, if maybe a little more structured. We’ve talked to press, we’ve talked to backers, we’ve tried to get the word out as much as we could. Sadly, it is clear that the project won’t be financed here. We could go into elaborate detail about why we think it didn’t work out, but frankly, there is no point. For now, what we want to do is take the best from this campaign and move on, which is why we decided to end the campaign on a high note, tonight, together with our community. As was said in our videos and live-shows, one of the best things about the Kickstarter is the way it connects us with the community and this is the number one thing we are taking away from the campaign. We have a bunch of people who have joined our dialogue with the community, a bunch of people who trusted us and we want to keep you all in the loop and in the know about BFG and its projects. Today we will have the gaming-session with a live-broadcast from the studio. We decided that this would be a perfect timing for ending the campaign, together with you. We will keep the Backer-only forum section open and we will start posting things there regarding Ravensdale and its future. As we said, the game will likely not see the light of day if we do not meet our Kickstarter goal, these will mostly be updates regarding what we plan to do with Ravensdale now as we look into alternate ways to keep the project going. As a reminder, if you still want access to the Development forums, be sure to send a mail requesting access with your Kickstarter username to: backers@bfgames.biz. Our most immediate goal is to find an alternate way to fund Ravensdale. This includes possible publishing deals even if we take the risk to lose the IP. We believe in Ravensdale and we got lots of positive feedback from you and the press. It might not have been the right project and time for Kickstarter, but the campaign raised attention. We love you and we would like to thank you for joining us and staying with us even in stormy weather . 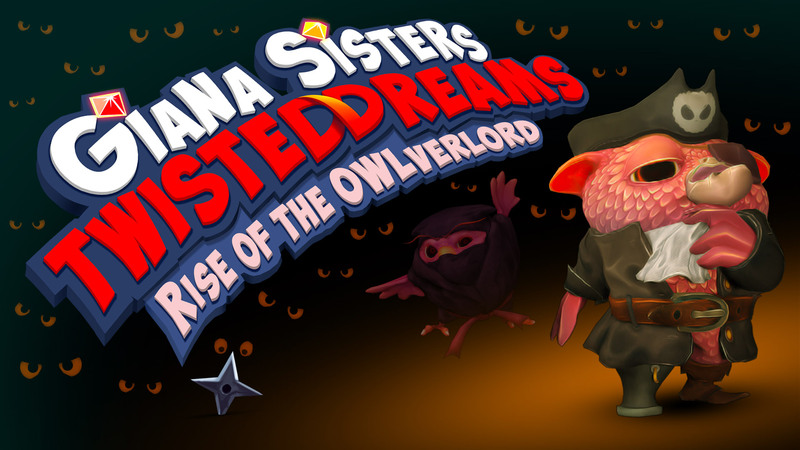 All you Backers that stayed with us until the end will get a code for Giana Sisters: Twisted Dreams ‘Rise of the Owlverlord’ as a special thank you! Also here and now I want to say thank you to the BFG Kickstarter team with a special and very big thanks to Emily who was in charge of the campaign and did an amazing job. Though we weren’t successful, this was such a great campaign with cool updates, press-releases, live-shows, celebrities, interviews, videos, gaming-sessions and more. Seeing the pledges staying low made this job even harder but the whole team fought until the end. You are a great team and it was an honor fighting with you through this Kickstarter. Finally I would like to thank the whole BFG team that worked hard on preparing all the material just for the Kickstarter. The crazy banners, the gameplay-video, the dev-diaries and so much more. There is so much passion and hard work you put into this, you rock! First, let us point you to the guys of Precursor Games currently running a campaign here on Kickstarter for Shadow of the Eternals, who are struggling as well, but deserve to be funded. Head on over and check them out! That game deserves to be made! To wrap this up, we would like to say thank you again to those who trusted us, with Giana as well as with Ravensdale. You’ll hear from us again, in the forums, on our social feeds and more. There will be one end update later tonight, just before we will end the campaign. It’s been an amazing journey so far, due in no small amounts to our backers and community. We will be sure to stay in touch! Join us this Thursday to play, or watch, the Unreal Tournament Game Night with the team. We’ve invited some dev friends and of course, all of you, to play with us or tune in on our twitch channel where we will be streaming the event live, from 6pm – 10pm CET. We’ll also be showing our last team spotlight, so come join us for a night of fun as we look back on our campaign. We’ve been getting a lot of messages about what will happen to the game if the Kickstarter does not succeed, and we want you all to know that while unfortunate, it won’t be the end of Ravensdale. We want to make this game and while it may be a while until we can secure the funds in order to produce it, we aren’t planning on scrapping it any time soon. Without the success of this Kickstarter the game will not be made for some time, but we will keep you updated with any movement regarding the project on the dev blog. We already have a bunch of people signed up to hang out with the team and a few of our dev friends next Thursday for a night of Unreal Tournament 99’ as we near the end of our campaign. We will also be streaming the event live for those of you who just want to watch the rage-fest and not be a part of it. You can find all the details in our facebook event, and I’ll also post an update the day of in our other community channels. It’s open to anyone so bring your friends! Monday, August 12th: Live chat with BFG: Come over to our twitch channel and hang out with us from noon to the end of the work day, no video, just chat. Thursday, August 15th: Game night! Head over to the facebook event for more details . Don’t forget to check up on our development blog for weekly progress about the game! Every backer who pledged $15 or more will get the new adventure in Giana Sisters:Twisted Dreams "Rise of the Owlverlord" for free. Plus, you will get EARLY ACCESS to the new adventure, so you can try it out ahead of time! To those of you who previously backed Project Giana, of course you are already getting this additional adventure for free (if you backed at the appropriate level), but now you are getting EARLY ACCESS to it as soon as the Ravensdale campaign is over! Today, our Creative DirectORC Jean-Marc Haessig sat down to tell you a bit more about this substance that we keep referencing. What is it? Why is it so "important"? To give you a little more insight into the craziness behind this, read below! A pit stop at a Goop station. Goop is a dark, stinking, tarry liquid that changes properties when it gets mixed with other substances, gets heated, frozen, etc. Mix it with a firecracker and you get a nuclear bomb, mix it with ice cream and you have the most calorie-rich sundae ever! The whole city of Ravensdale got twisted into an oil rig and garage-like environment with pipelines all over the place to deliver Goop to each household. It replaces or generates all resources we know: water, food, coal, electricity, etc. Goop lights your house, fuels your heating, powers your motorized breadsaw, clogs up your sink and greases up your hair when you shower. Goop is everywhere. There are Goop stations (like gas stations) in the city to refuel power armors that are as common as cars in our age. The inhabitants of Ravensdale rent armors, buy second hand armors, customize their armors, save up for family-sized juggernaut suits and splurge on expensive sports armors to impress the ladies. The city is full of propaganda about how amazing and indispensable Goop products are. Goop can burn, explode, lubricate, enhance flavors, nurture your children, allow cross breeding, grant you magic powers… some of those claims are true. 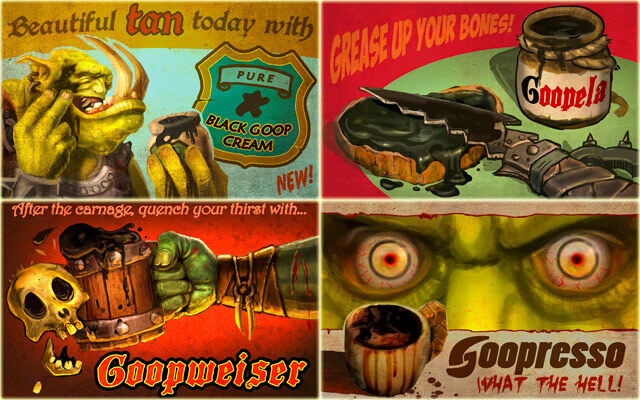 Everybody loves Goop because Goop is everywhere and enables everything. Goop distorts the perception of its users, so no matter the results, people swear on it! Tomorrow, we will have another update on gameplay for you as well as an outlook on the next week. We also want to give a shoutout to our friends at Privateer Press/WhiteMoon Dreams! Be sure to check out WARMACHINE: TACTICS here on Kickstarter. They are currently in the final stretch of their campaign and they have well surpassed their goal, but there is so much more to unlock! It's an awesome project, so go and check it out and help make it come true to the fullest extent possible! Last but not least, we have included the teaser trailer for "Rise of the Owlverlord" at the end of this update! Enjoy!